Construction is nearly complete on Windsor’s new City Hall and staff are set to move this weekend. The new $44m, 120,000 square foot building at 350 City Hall Square West is located immediately south of the current building. 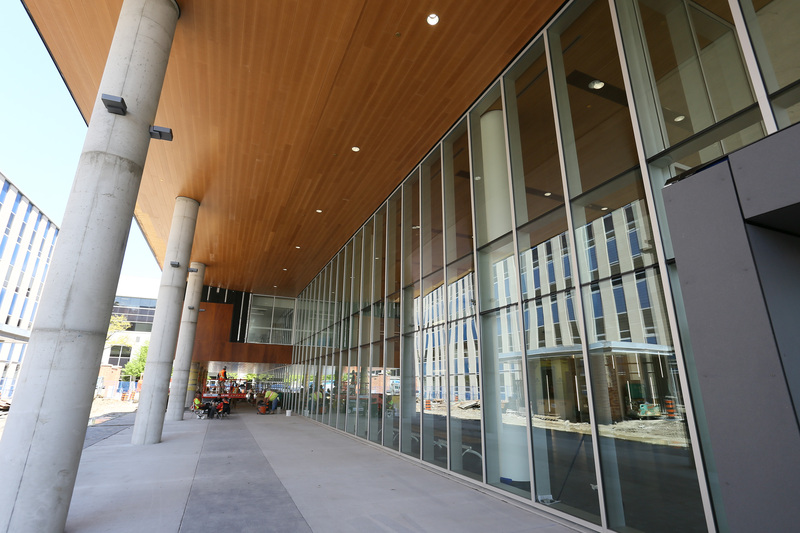 It will house 280 staff once it opens to the public on Tuesday, May 22nd. 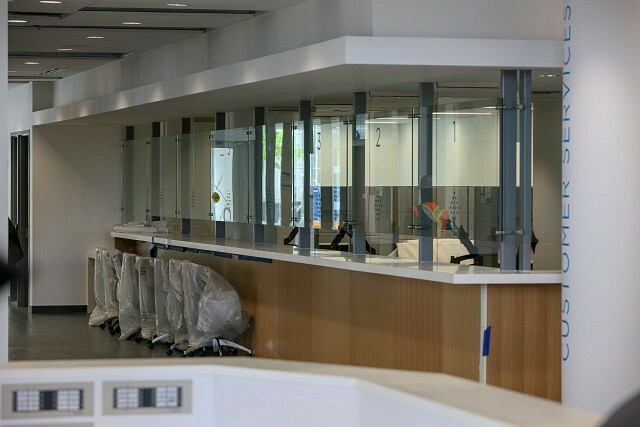 The layout of the facility was designed for ease of use and customer service with a main-floor one-stop-service counter. 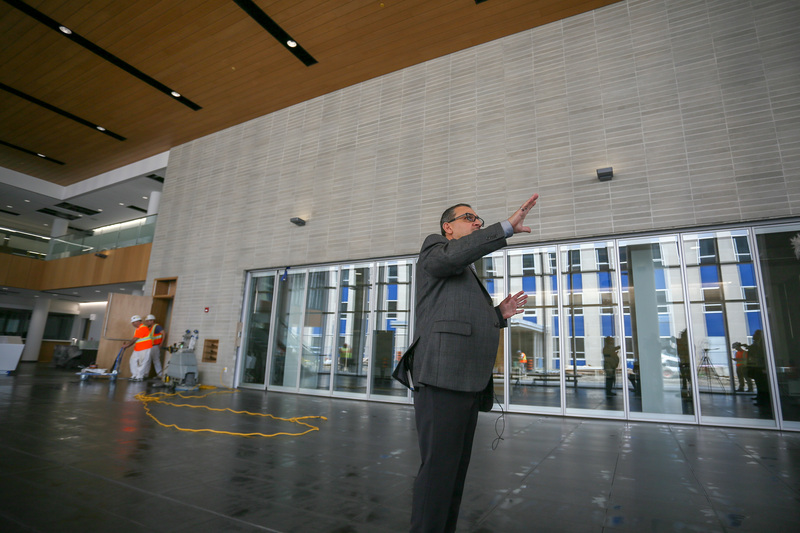 Project Administrator Wadah Al-Yassiri described the new building as “not iconic” but modest and useful to meet current and future municipal needs. In an effort to make the transition as seamless as possible, movers will be working throughout the May long weekend, transferring equipment and materials to the new building. 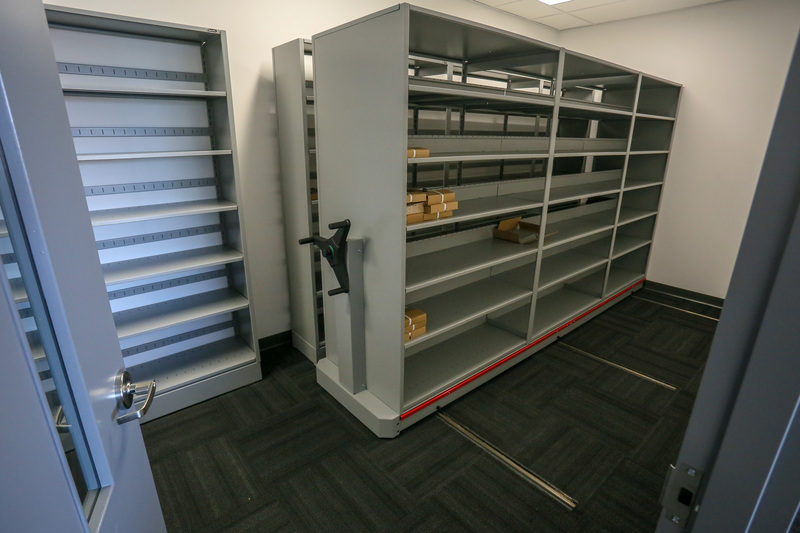 The move will begin with the close of regular business hours at 4:30pm on May 18th and will be complete by 8:30am on May 22nd. 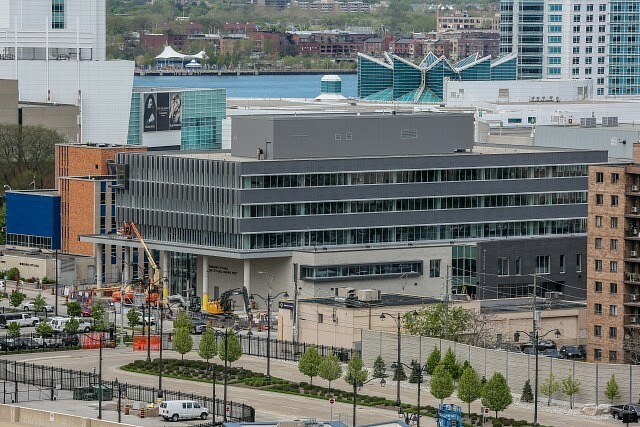 City officials say the public opening is planned for Tuesday, May 22nd at noon in order for staff to prepare to meet the needs of the community. Neither the Old City Hall nor the New City Hall will be open between 8:30am and noon on May 22nd, with the exception of the City Clerk’s office on the 2nd floor of the Old City Hall, which will be open to candidates for the purpose of filing their nomination paper with the City Clerk for the 2018 Municipal Election. 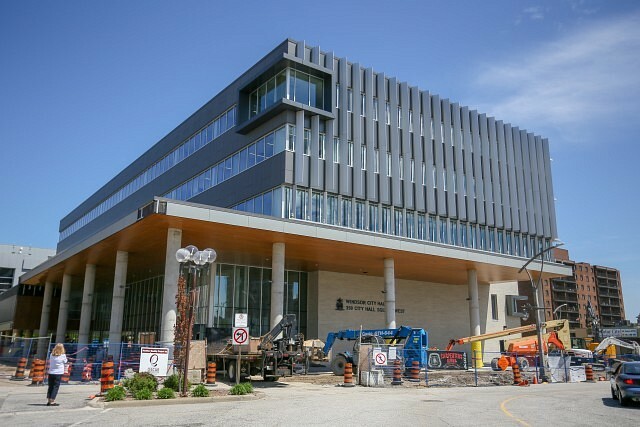 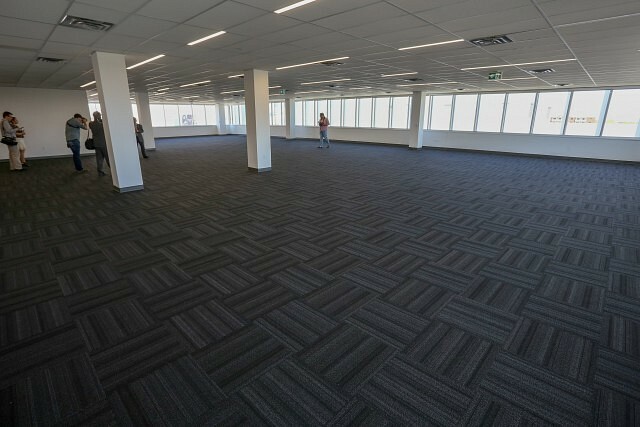 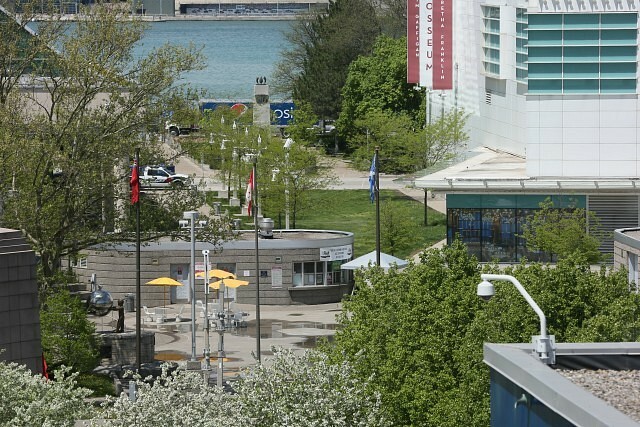 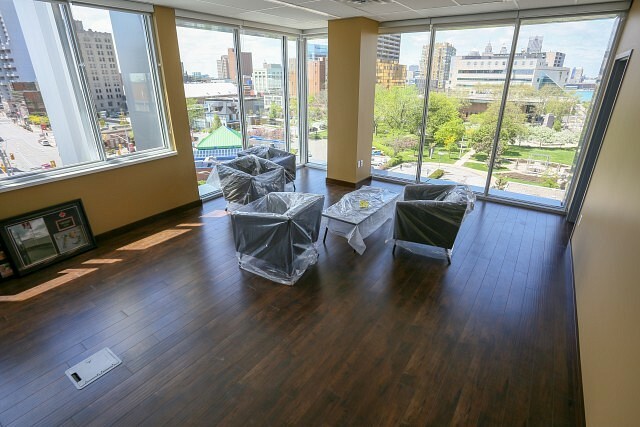 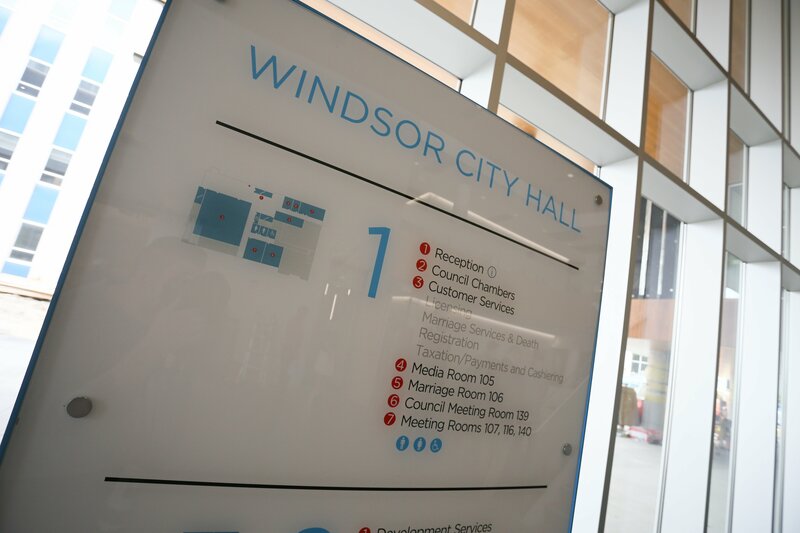 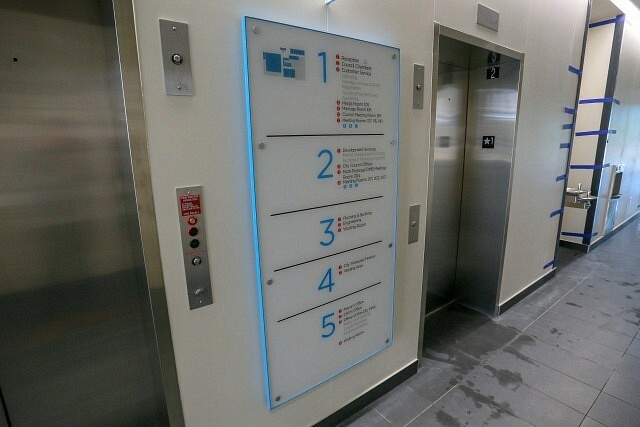 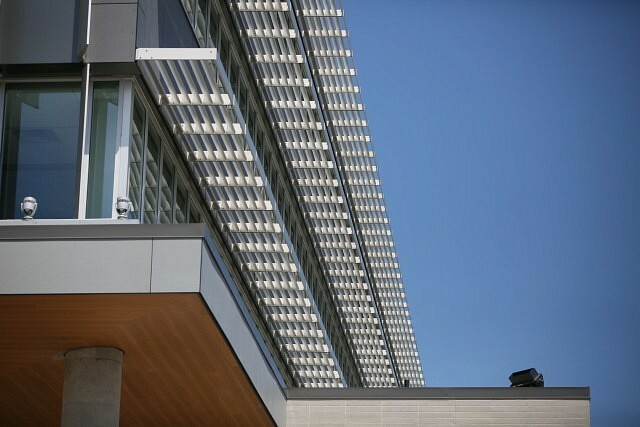 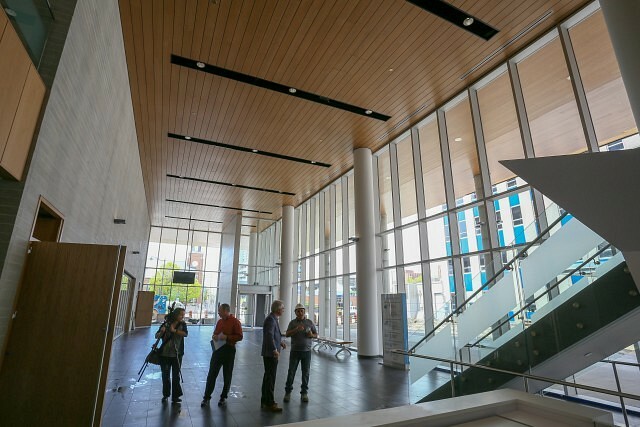 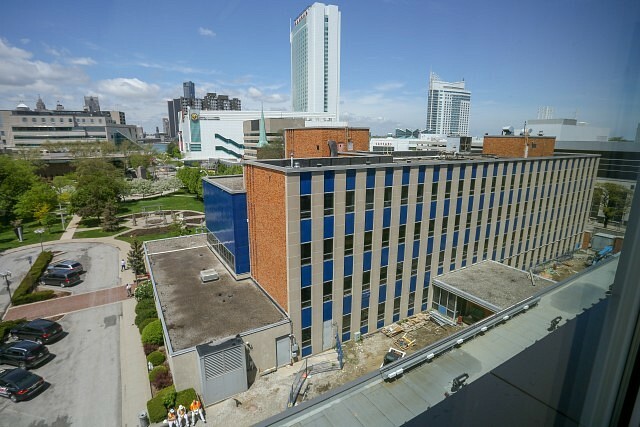 An official public grand opening and tour of the new building is set for Saturday, May 26th as part of the City of Windsor Birthday Celebration. 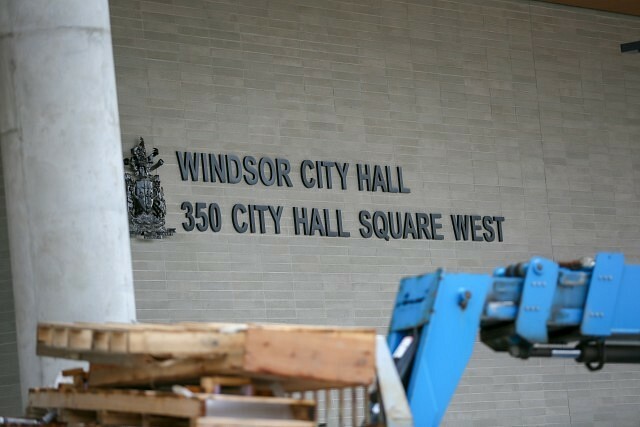 Construction crews moved the Coat of Arms from the old city hall to the new building. 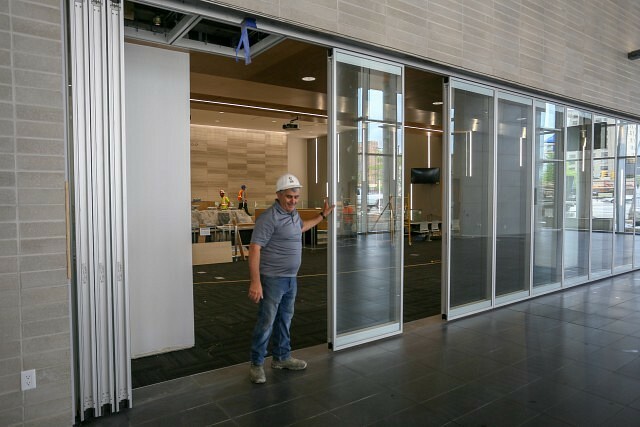 Project Administrator Wadah Al-Yassiri stands in front of glass doors to council chambers in the bulding’s lobby. 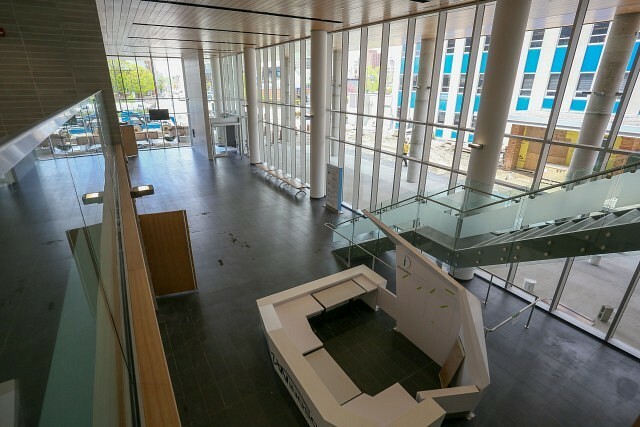 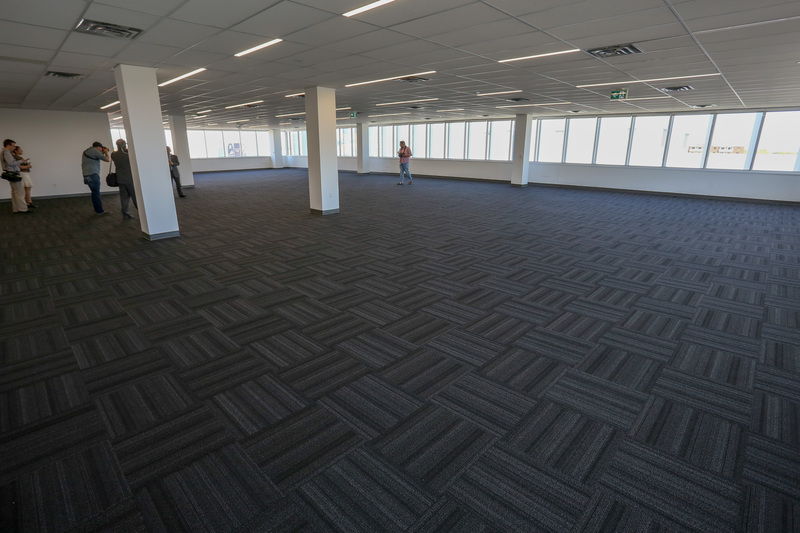 The first floor features a one stop customer service area as well as wickets for licencing, permits and access to city services. 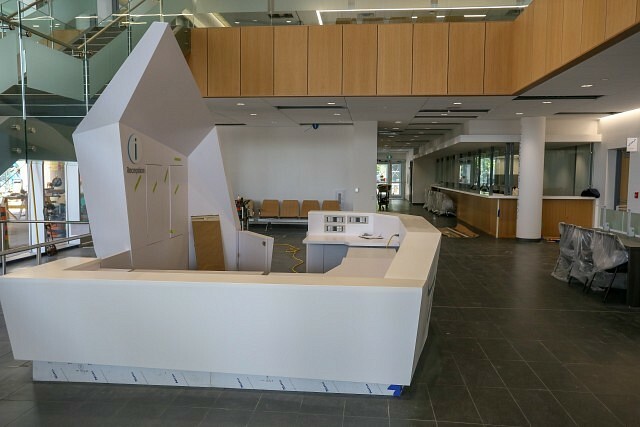 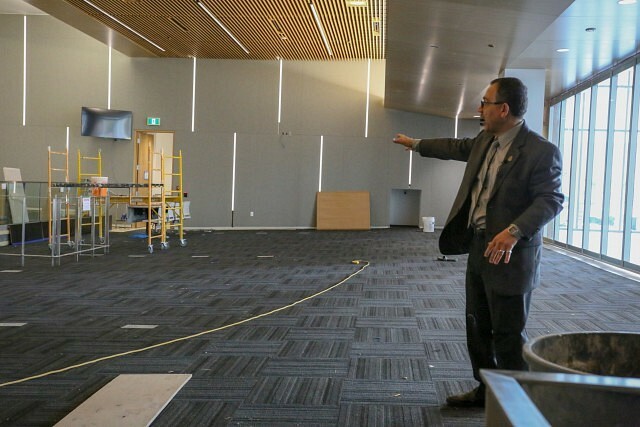 Construction continues inside the new council chambers. Members of the mayor’s office and senior administration will have computer screens at their desks within council chambers. 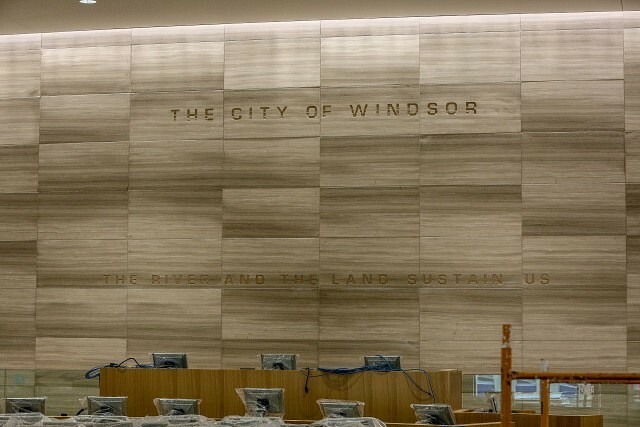 The city is planning for an eventual move to paperless council meetings. Council chambers will hold seating for 180 people. 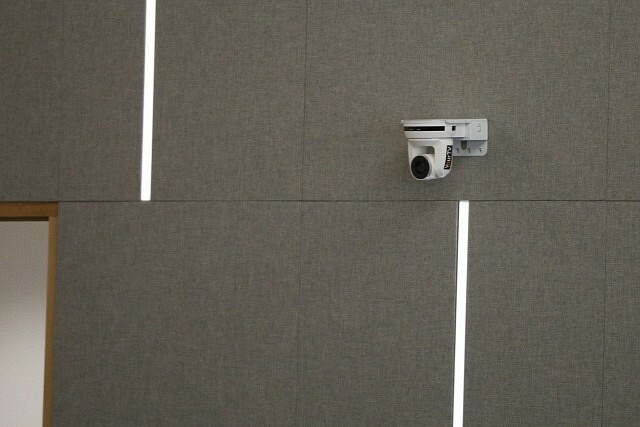 Two remotely controllable cameras will be part of plans to live stream council meetings. 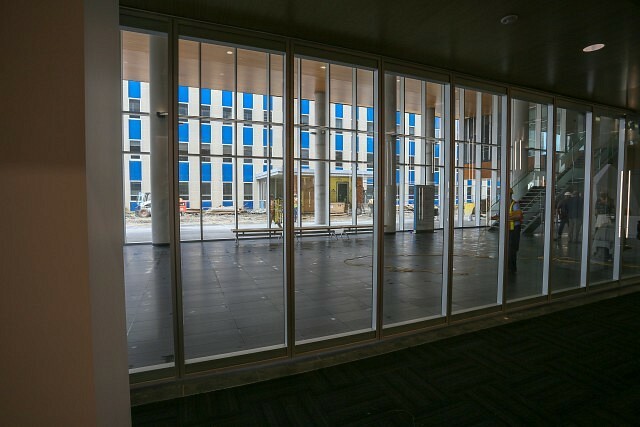 In the event more seating is needed, glass doors at the rear of council chambers may be opened to the lobby. 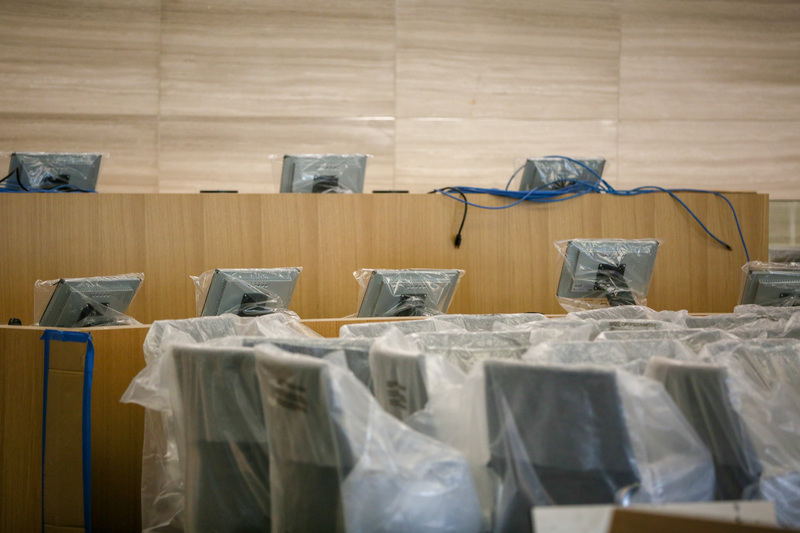 Project Administrator Wadah Al-Yassiri says the placement of council chambers on the first floor was done with the intention of fostering democracy through transparency. 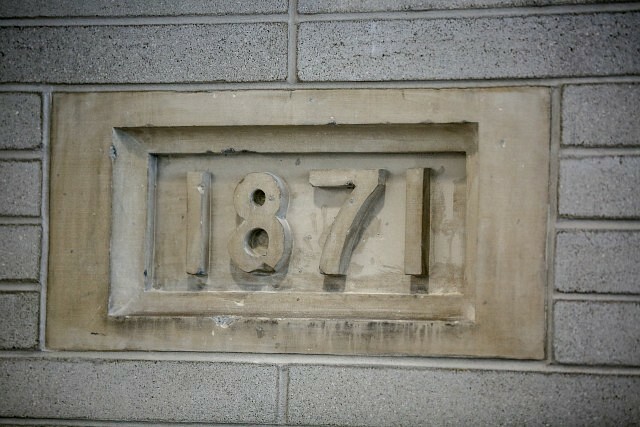 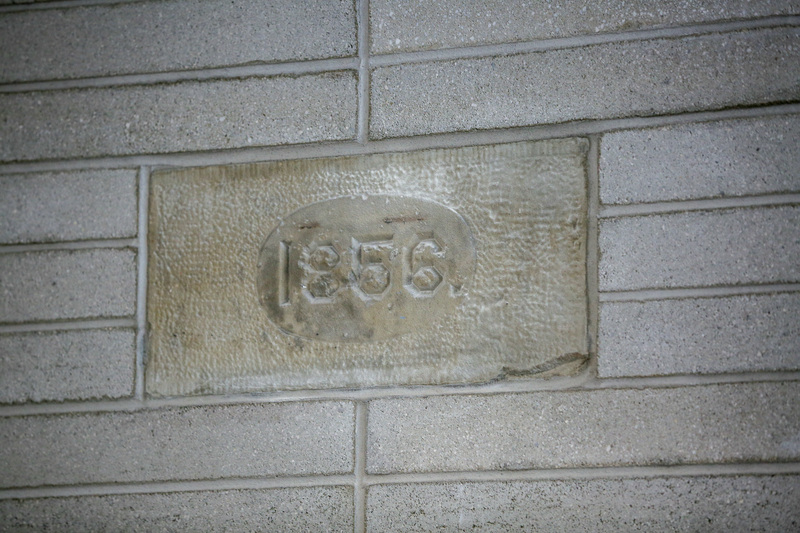 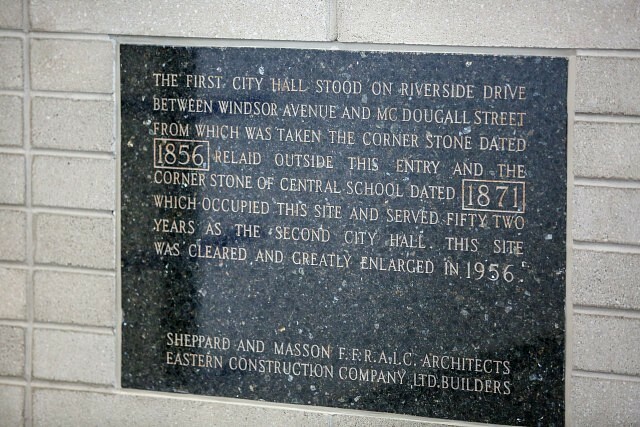 Cornerstones from the two previous city halls are found in the lobby. 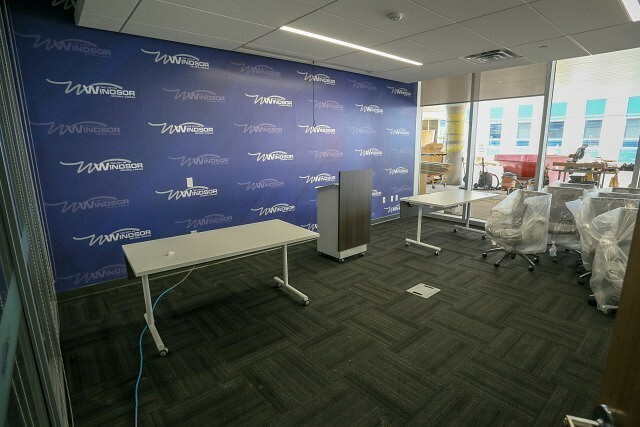 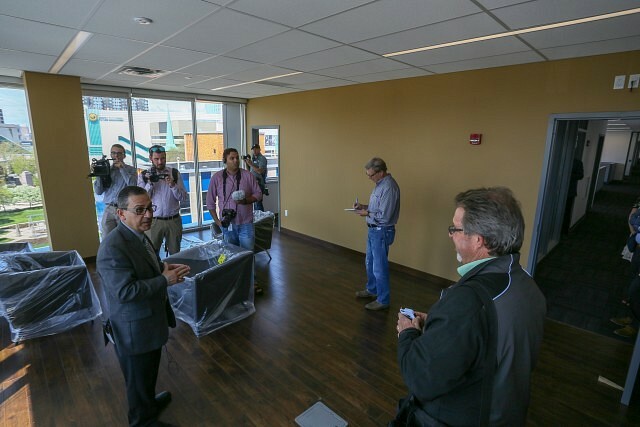 A media room on the first floor will be used by the mayor and other senior officials during important media events. 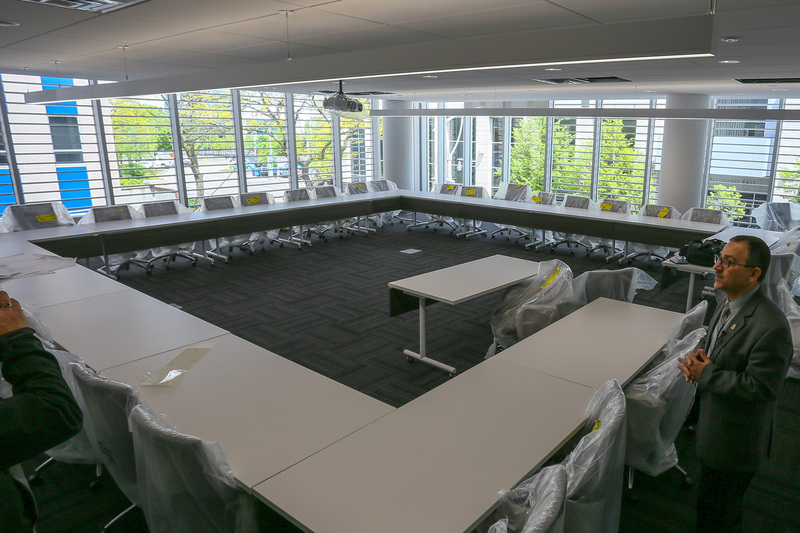 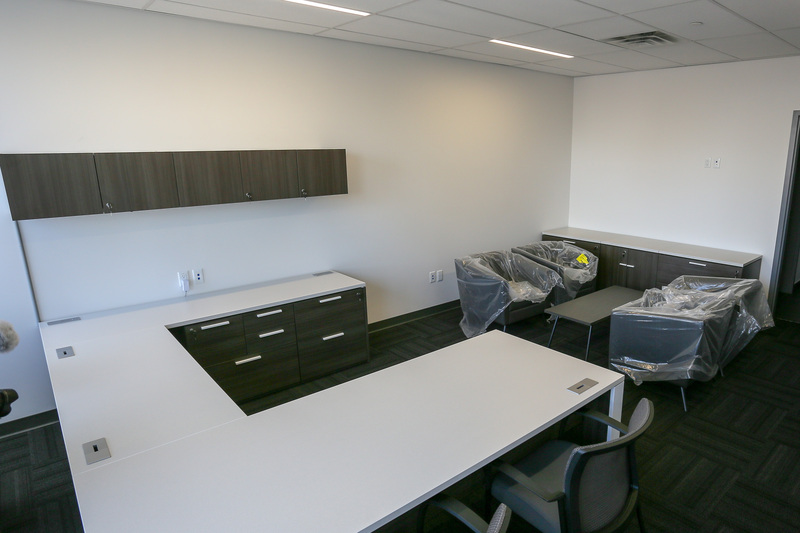 One of several meeting rooms in the building, this building will be used for Local Planning Appeal Tribunal meetings (previously known as the Ontario Municipal Board). One of several high density filing rooms. Office of the Chief Administrative Officer. The old city hall will be demolished after an extensive remediation of asbestos containing materials to make way for a civic esplanade. An additional 12,000 of empty, future-use space was constructed to meet future demand. 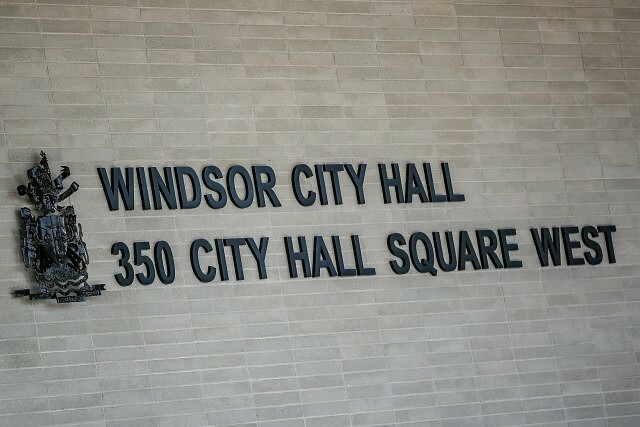 Mayor Drew Dilkens suggests it may be used to house administrative offices when the Windsor Public Library leaves its downtown location. 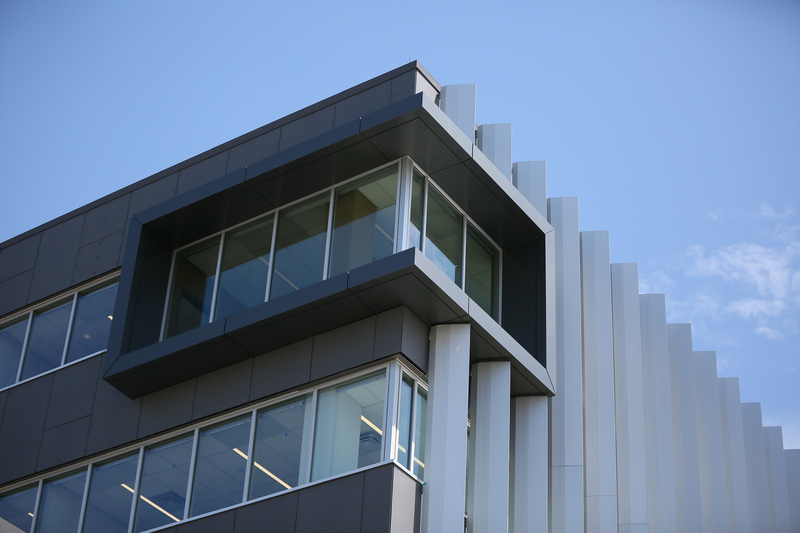 The south and west faces of the building feature louvers to reduce direct sunlight and lower heating and cooling costs.